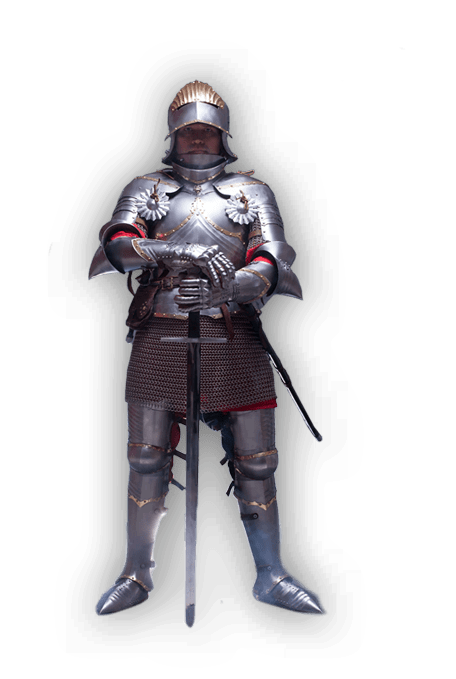 Steel Mastery means Medieval Armor! VIKING SHOES HAITHABU Haithabu viking shoes are the most authentic viking boots carefully recreated from the dust of the ages by our best shoemakers so that you can feel like real Vikings. This is a typical leather viking costume boots, which worn in all the territories under their control and long after the Vikings themselves stopped swimming and robbing. The Slavs used similar type boots until the XVII century. Each boot is made of just two leather pieces: the sole and the upper part. Additional leather inserts appeared if the shoemaker incorrectly cut the leather for the boot, but that is not our way, so your shoes will be completely correct. Soft, comfortable, versatile, these authentic viking shoes are great for: SCA HEMA LARP Stage performances Medieval festivals Reenactment events There is only way of viking boots manufacturing - hand sewing. No modern sewing machines, just needle, awl and hands of our shoemakers - historical one type of manufacturing. This viking shoes for men have a..
LEATHER VIKING GAMBESON This short-sleeved early medieval gambeson, perfect for bowman. Its comfortable cut protecting your body well makes it easy to shoot a bow. A simple, decent leather gambeson will serve you equally well both as the underarmor and decent short mens Viking costume. Pay your attention that this model has not only authentic Norse look and fabrics but also fastens with the historically accurate leather strings. For your convenience, we can offer two ways of tailoring this mens Viking padded leather armor: Machine manufacturing, which is means using sewing machine by our tailors, when they will make padded armor by your parameters. Hand sewing – custom one, when gambeson will be completely sewn by hands of our tailors, stich-by-stich. This custom historical one type offered for additional costs. The special advantage of this modern gambeson is that it is suitable foe almost all medieval and fantasy events: SCA HEMA LARP events Stage performances Medieval festivals Reenactment..
RED TABARD WITH A HALF BLACK EAGLE ON A YELLOW SHIELD ANR RED-BLACK DIAGONAL STRIPES Tabard is a surcote, which seems quite simple, but absolutely indispensable in SCA, HEMA, LARP and reenactment events, stage performances and medieval festivals. Tabard had its origin in the Crusades times. Dressed in heavy chain mail knights found themselves roasting under the Middle Eastern sun. That time they found way to keep the sun from heating the armor's metal - wearing a simple piece of fabric over their armor. It was a surcote - just long rectangular fabric strip with a hole cut in the middle for the head and belted about the waist. And when knights went back to Europe, this simple utilitarian garments were adopted for everyday wear and were renamed in tabards. Tabard was shorter than surcote, often parti-colored and decorated with a coat of arms, emblems and family seal. Tabards survived in use into the late Middle Ages. Tabard took all the best feature of its medieval ancestors - natural fabrics, beautiful look and damn importa.. 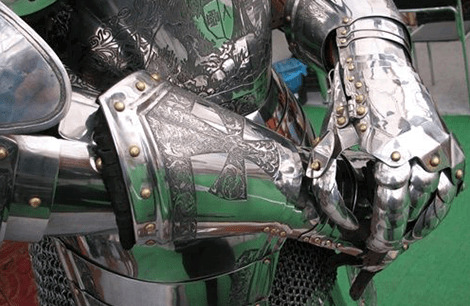 Manufacture was established in the 2001 by the group of people, who loves history and armour. Are you a reenactor or fencer, who participates in medieval combats? So, we will make reliable and durable body protection for you! 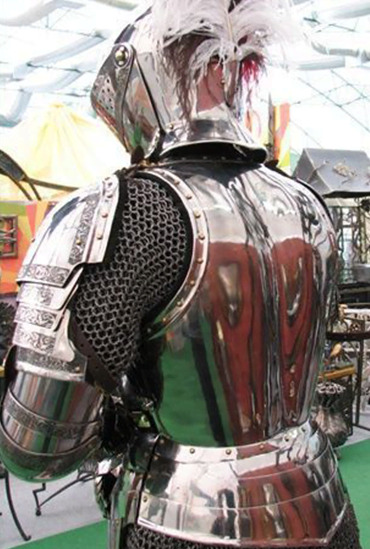 Our handcrafted medieval armour will fit perfectly and protect you at BoTN and similar fights. It is compliant to standards of SCA and HMB. Do you take a part in medieval festival? We can make you perfect gown for such an occasion! A dress or costume made by your measures and historical patterns will fit you perfectly and make you look outstanding! Or, probably you are a fan of LARP? Then we offer your high-quality leather armour and accessories of the most popular characters from fantasy world. Are you looking for a gown for a masquerade, Halloween or a party with medieval dress code? So, you came to the right place! We will make you amazing attire that will be retained in your friends’ memory for a long time! If you didn’t find a model of the wished armour or costume in our medieval, so please send a pattern to us at [email protected]. We will be glad to turn your desires into reality! 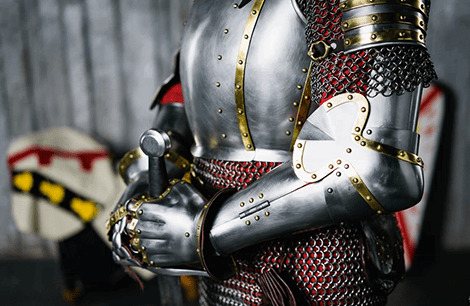 Dear friend, welcome to Steel Mastery — medieval shop, where you can choose and buy armour for any taste! 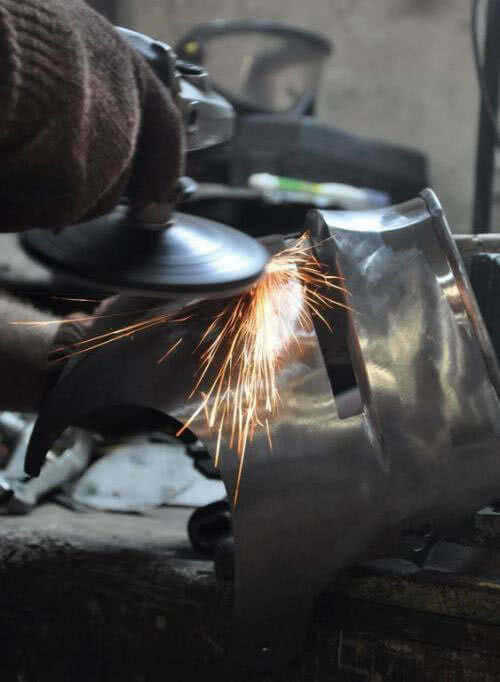 We are medieval armour maker since 2001. Our products are popular and demanded because of its high quality, durability and accordance to historical analogues. we use only 100% natural fabrics and high-quality materials. 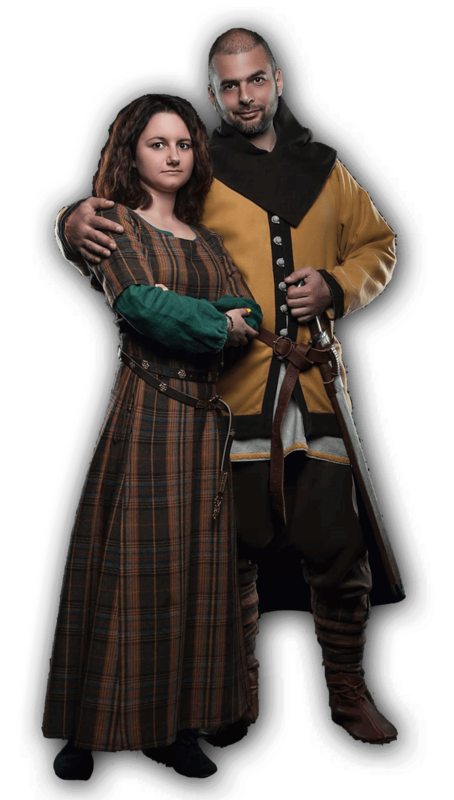 Unlike many medieval times online stores, our reenactment shop is permanent exhibitor at the largest European markets in France (Pontoise, Orange, Compiegne, Dinan, Brignoles), Italy (Ferrara, Piacenza), Germany (Minden), Sweden (Gotland). So, customers may try, check the quality, choose and order our goods at place. We expand the assortment every year, add new models and offer the best products. 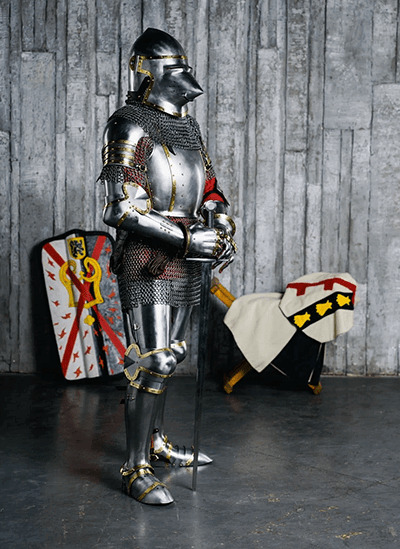 We are as armor creator, so medieval clothing store. 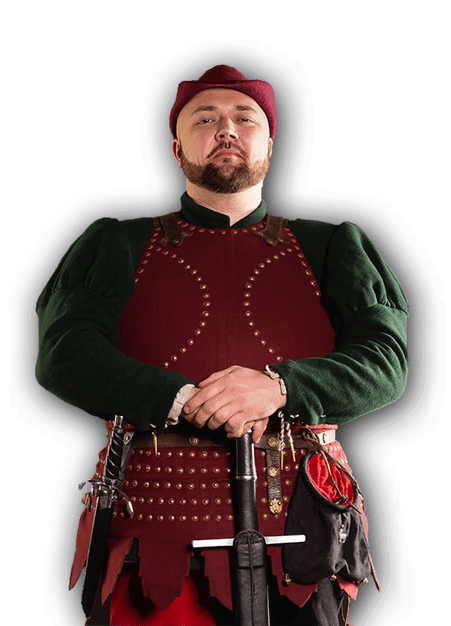 There are dozens of beautiful early medieval dresses, renaissance costumes, cloak and capes, fantasy style outfits that will be perfect for any medieval festival or reenactment event. 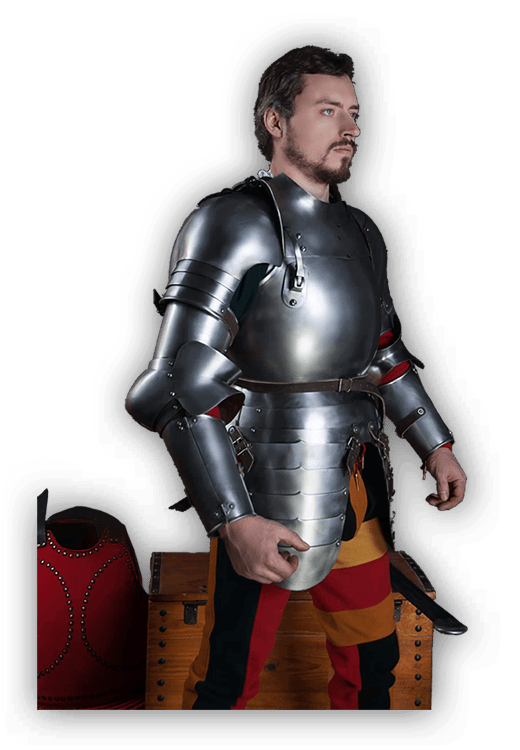 It’s quite easy to buy medieval clothing online at Steel Mastery. Be sure, that your costume will fit you perfectly, as we make it according personal parameters of a client. If you did not find a model you wish, please send pattern to us [email protected] and we will be happy to make it for you. Larp shop - not only serious-minded reenactors will be satisfied! You may also call us medieval cosplay shop, as we have great many products for fans of fantasy and LARP. There are different models of leather armour, such as dwarf bracers, elf spaulders, leather cuirasses and various accessories. 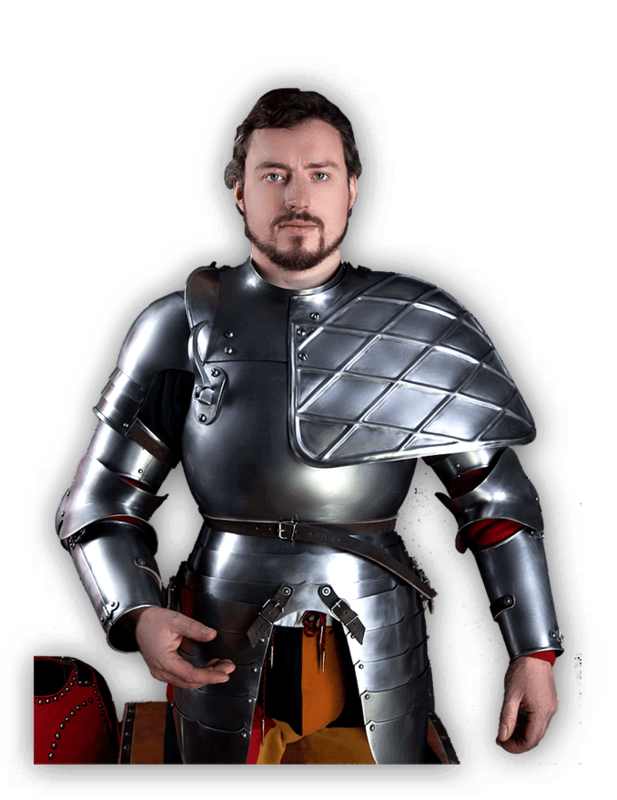 If you are wonder where to buy a suit of armour or medieval clothing, so we are in one click of you! Just choose the wished item and define options to create an armour of unique design. We ship orders all over the world, so if you have postal address - be sure, that your order will be delivered! Looking for a wonderful present for festive occasion? We are at your service! In our online medieval shop you’ll find beautiful samples of cast accessories (like a medieval brooches, bronze fibula or brass badges), handcrafted leather bags or homemade soap. Treat your closed ones with extraordinary gifts!